Locations: San Francisco (HQ), New York, Washington D.C.
One of the few perks of being the matchmaker between tech talents and companies who are hiring is the fact that we get to meet exciting and innovative companies who are constantly changing the face of their industry. 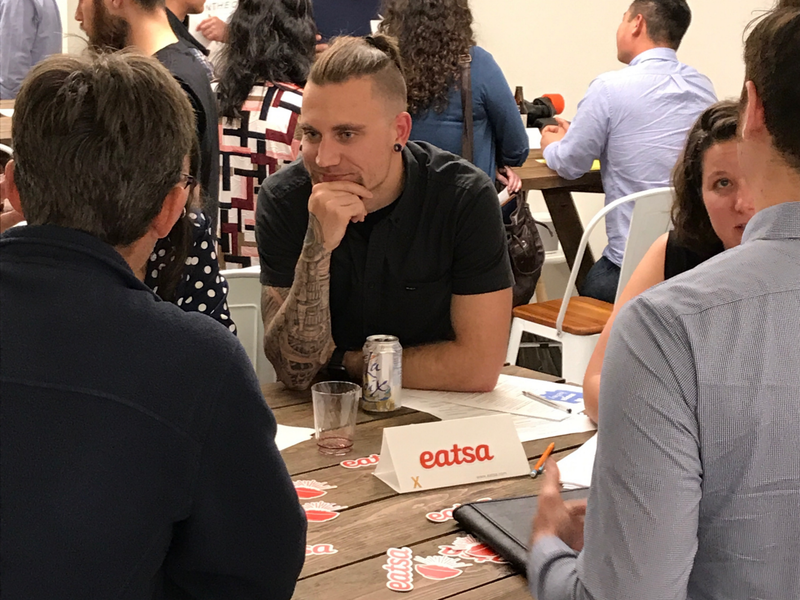 We’ve recently had the pleasure of working with eatsa, the restaurant industry’s leading innovator in 2016 and one of Fishbowl’s 2017 Emerging Brands, to help them hire their next team member. Meghan Langill, Senior Technical Recruiter of the rapidly growing startup, shares with us more what it is like to take part in HackerX, and how it has impacted their hiring practices. Tell us a little more about what your company does. 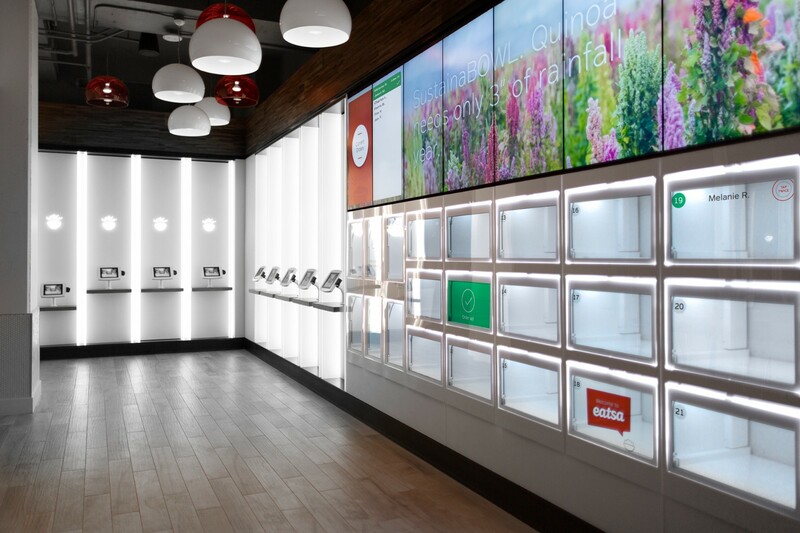 At eatsa, we want to make nutritious, sustainable food accessible and appealing to all. We are motivated to solve big challenges in how the food industry provides better food to more people. We believe that access to nutritious food is something everyone deserves and that technology innovation is the means by which you accomplish that radical change. We are focused on an industry that is ripe for change — the $160B fast food industry. Our unique, world-class team combines engineers, designers, and scientists with food and restaurant operations experts to push the boundaries on re-engineering every aspect of the business. By incorporating robotics into our business, we’ve managed to create a one-of-a-kind end product, customer experience, and back-of-house operation providing our customers with crave-able, nutritious food served up lightning fast in a completely unique way and at an unbeatable price point. Why did you decide to participate in our HackerX event(s) and how has it helped your company in its hiring practices? The interesting aspect of scaling a company that is pioneering change in a industry ripe for disruption, is that the talent required is highly in demand and niche. The more diverse and robust the candidates background is, especially for a small company, the better it is for problem solving and thus our customer base. HackerX helped us solve this problem by bringing in a significant amount of top talent across the industry. The recruitment event format helped us to take a quick look at the pool of talent that is currently active in the industry. The speed-dating also allowed us to handpick the candidates who not only possess the required key skillsets that were necessary to what we are trying to accomplish here, but also to assess whether they were the right fit for our team. How many times have you participated in HackerX so far? Our company has taken part in HackerX twice so far. I have to say that HackerX is single-handedly one of the best organizations for hosting such types of meet-ups. The amount of expertise and industry knowledge that was present in the room was phenomenal and the HackerX staff was amazing to work with. Following our last event, we hired an extremely talented addition to our team. Thank you, Meghan! We may not be able to convince others, but perhaps you can — why should other employers consider being a part of HackerX? There are multiple reasons why HackerX is great for a company’s hiring needs. First and foremost, the event is a chance to get to speak with talented candidates who specialize in skillsets that you are looking for. Second (and most importantly! ), taking part in the event gives you the valuable opportunity to establish vital connections which can be very useful in the long run. Do you have any tips and advice for other companies who might be thinking of taking part in HackerX and how they can leverage and maximize this opportunity to its fullest potential? Definitely send more than one person. Bring members from the team that are specialized in the function that you are hiring for. Team members can speak about the interesting challenges in which you and the company are trying to accomplish. Also, these candidates will be working closely with the team so it is important to leverage knowledge that you currently have in-house as well as to establish rapport earlier into the hiring stages. 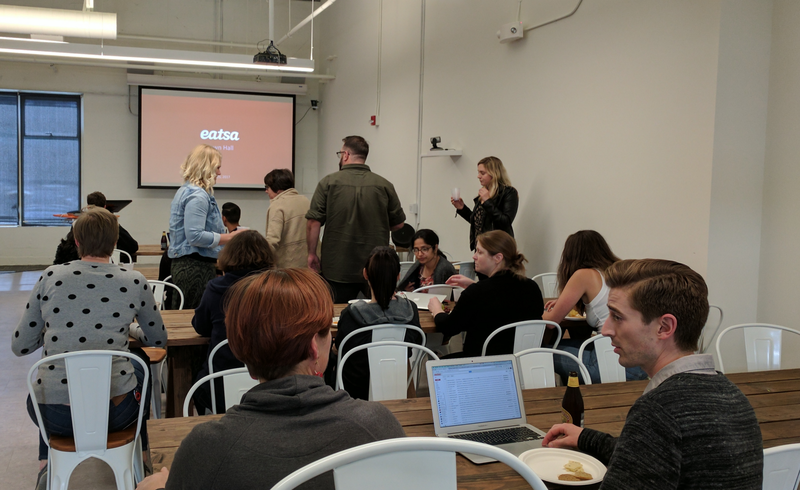 As eatsa enters an aggressive growth phase, they are looking for motivated, talented folks to join them in making this critical change happen! If you’re interested in making a difference in the food industry, check out their available openings here. HackerX is a one-of-a-kind opportunity for developers to meet with and learn more about some of the world’s most innovative and fastest growing companies — in a casual environment, face to face. More than just a recruitment event, HackerX is also a networking platform for all attendees no matter which side of the table you’re on.